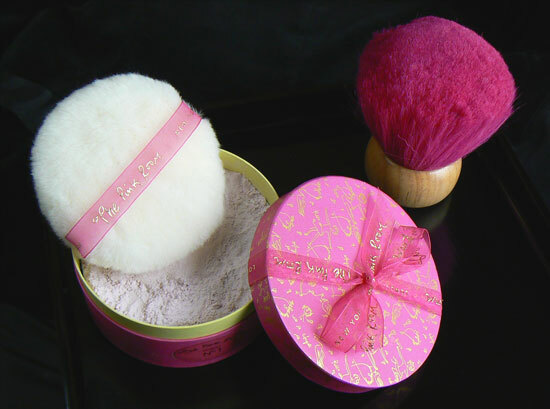 Caress and pamper yourself with the Pink Room Beautiful Dusting Powder. Enjoy the sensational luxuriousness of cashmere softly stroking the body. 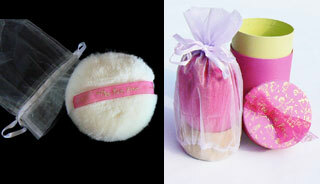 Our lavender pearl cashmere powder is made only of pure natural ingredients and imbued with Parfum No 1 essence. The final layer in your Parfum No 1 experience. The Pink Room’s unique, limited edition, pink Goat’s Hair Body Brush is the naughtiest fantasy. It flirts outrageously with the dusting powder.